This is what you could call a proper 'Solo Album' in that all of the instruments are played by Manzanera here (with the exception of John Wetton on bass for one song.This time, guitar, percussives, bass, keyboards, and treatments are all under his control. And it's slick control, applied to powerful compositions that are full of life and spiralling guitar peaks. There are no vocals. The tuneage is savage and sharp, driving melodies that surge and churn, pouncing on riffs with the ferocity and grace of starving lions. It's is also highly catchy. 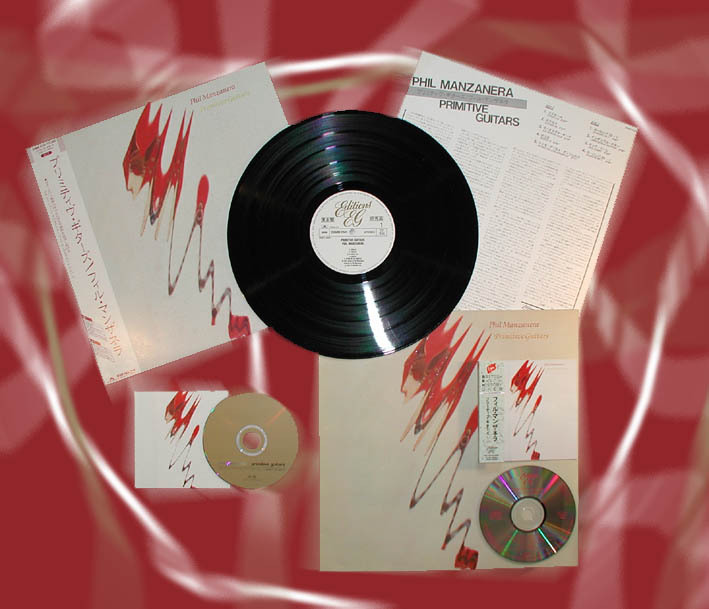 While creating music of an esoteric nature, Manzanera cannot refrain from utilizing enticing rhythms that plug directly into the human pleasure center. As the album progresses, the music seems to mature, but the high quotient of ultimately satisfying hooks continues unabated. Originally released in 1982, the new expression CD edition expands the total time to 55 minutes with two bonus tracks: "Criollo (French Remix)" from the UK twelve-inch single of Impossible Guitar and an instrumental version of "Frontera" which is a song from the Diamond Head album that was re-recorded in 1991 for the USA issue to Southern Cross.